A woman accused of abducting four boys, ages three to eight, was yesterday remanded to Sandilands Rehabilitation Center for a mental evaluation after her lawyer raised concerns over whether she was fit to plea. 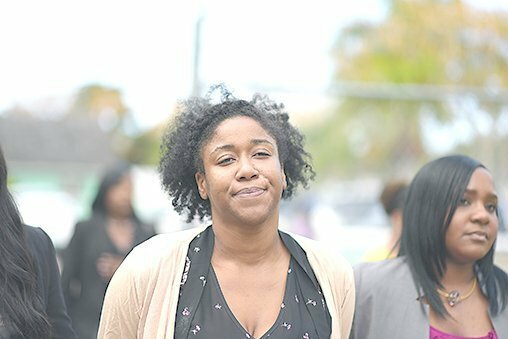 Hair stylist De’Edra Gibson, 29, of Current Road, appeared distraught when she made her initial court appearance before Magistrate Samuel McKinney. Gibson wiped tears from her face and was barely audible when McKinney asked her for her date of birth. For the past two months, the string of abductions of young boys by a mystery woman, who later dropped off the children unharmed, puzzled both police and the public. McKinney informed Gibson that she was tried with abduction contrary to the Sexual Offenses Act. Although the alleged victims’ names were already in the public domain, McKinney did not reveal their identities in court. Gibson was charged with the February 16 abduction of a three-year-old and the abductions of three boys, ages eight, on March 6, 7 and 29. The court did not ask Gibson to choose the venue of her trial based on attorney Howard Thompson’s concerns about her mental ability. Before the charges were read, Thompson informed the court that Gibson had a history of mental illness and was last year treated at Brookdale University Hospital Medical Center in New York. Thompson said, based on his communications with her that he described as “unintelligible”, he did not think she had the capacity to plead. Gibson returns to court on May 13 when it is expected that the psychiatric report will be ready.